Mr Trump suggested the kidnapping could have an impact on tourism saying that the abductors must be found “before people will safe in going there”. Earlier, President Museveni tweeted on Monday morning that Uganda is safe for Ugandans and tourists. He blamed the kidnapping on “isolated pockets of criminals”. The president said government shall deal with these isolated pockets of criminals. The two who were abducted were set upon as they drove through the Queen Elizabeth National Park on the evening of 2 April. Ugandan police said then that kidnappers used one of their phones to demand a ransom of $500,000. It is not clear if that was paid. 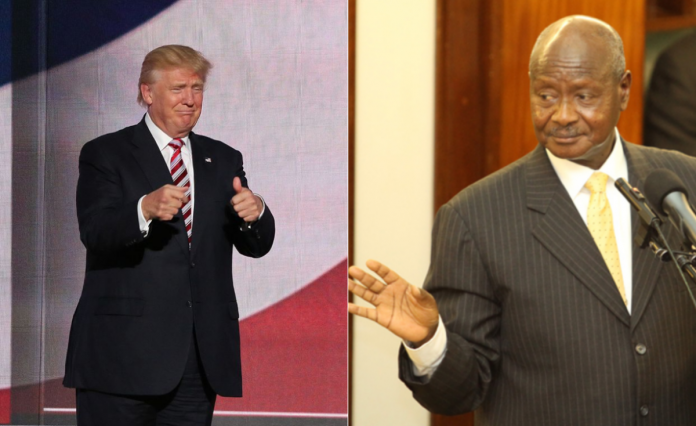 Meanwhile, A Ugandan government spokesman Ofwono Opondo said that the US president should sort out problems in his own country before having a go at Uganda.